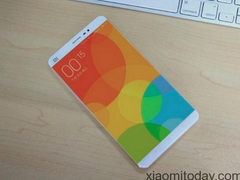 The official announcement of the Xiaomi Mi5 flagship may not come until November where the manufacturer is expected to reveal two versions of the Mi5 with different screen sizes. The delay could allow Xiaomi to be one of the first manufacturers to include the new Snapdragon 820 SoC into their devices. This should allow for significantly lower operating temperatures and power draw due to the 14 nm lithography of the upcoming Snapdragon series. Rumored specifications for the Mi5 are a 5.2-inch 1440 x 2560 resolution display, 3 GB to 4 GB RAM, and 16 GB to 64 GB of internal memory depending on the configuration. The larger Mi5 Plus is expected to use a 6-inch 1440 x 2560 resolution display with 4 GB RAM and a 20 MP rear camera. Assuming a late 2015 reveal, we may not see these high-end models for sale until at least early 2016.